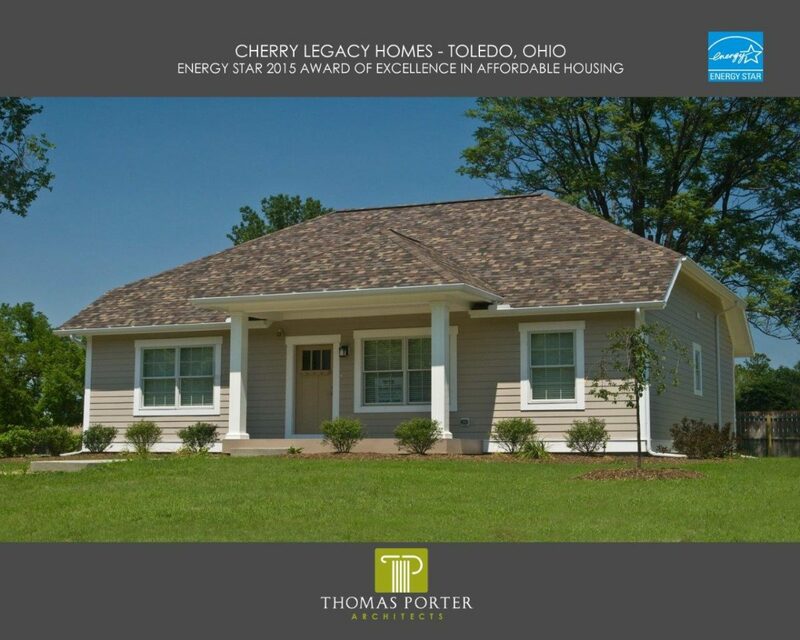 NTR completed the first phase of the Cherry Legacy Homes project in 2014. At the end of the first phase, 40 ENERGY STAR certified single-family homes were constructed on in-fill lots in the Cherry Legacy neighborhood. Five house plans and seven designs were developed to match the existing neighborhood and accommodate a variety of resident family sizes and needs. All homes were designed to allow for aging-in-place, with at least one bedroom and bathroom on the first floor. The homes ranged from 1,240 to 1,800 square feet. Posted in Architecture Awards Housing News Prototype .